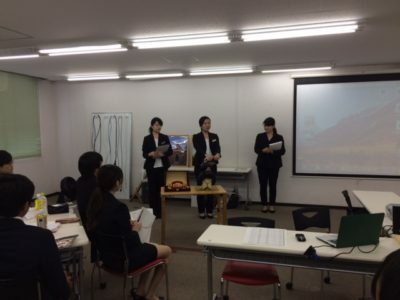 We participated in the “Job fair” by CRS corporation in Osaka on August 24. We were introduced to CRS by M-sama who often works as a master of ceremony at our clients’ wedding reception. A lot of third year students who have just started their job hunting attended the fair. And many companies from different industries joined the fair and offered internship to the students. 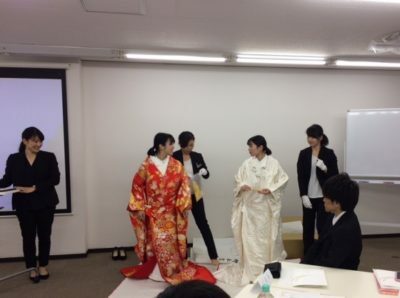 We brought Shiromuku and Iro-uchikake to the fair, so that the university students can try them on this opportunity! 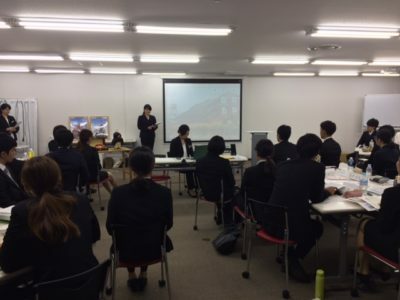 We got many inquiries from the students and it became a good experience for us too. I hope all the students will find the jobs they want and find the good working environment with nice people. Thanks for giving us the great opportunity M-sama and CRS.